Caregiver stress can cause serious negative effects to your physical and mental health. One major source of stress is the caregiver financial burden. You do what’s necessary to help your older adult get the care they need. But that care often comes at a high cost. 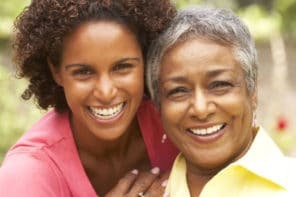 To reduce the financial burden, Vive Health shares 7 tips for saving money on caregiving expenses – which decreases the stress. Lost sleep. Back pain. Headaches. Anxiety. Does this sound familiar to you? Many family caregivers experience negative health symptoms due to the physical and mental demands of caregiving, but the financial burden can have serious effects as well. 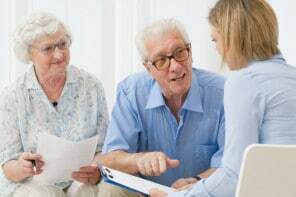 A recent survey of 2,000 family caregivers found that 92% are also “financial caregivers” – meaning they provide assistance with their older adult’s financial needs. Financial coordinators – organize bills, file taxes, coordinate investments, plan budgets, etc. The survey found that 88% of caregivers take on the financial coordinator role and 68% the financial contributor role. But 64% of family caregivers actually take on both roles. All in all, caregivers spend an astounding $190 billion a year on the older adults they care for. Find out about common sources of financial stress and get 7 tips to help reduce costs and take some of the pressure off. Mounting medical bills for doctor’s visits, hospital visits, medical tests, etc. Chronic stress associated with these types of financial burdens can show up in more ways than just a negative mood. To save money and reduce the stress brought on by financial responsibilities, try these 7 tips. Save on prescription medications by asking the doctor for free samples, switching to lower cost generics, or getting help from state programs. Use all the good deals for older adults that you can find, including senior discounts on groceries, medical supplies, restaurants, hotels, travel, retail, delivery, fitness, and more. Buy regularly-used supplies in bulk from wholesale stores like Costco or Sam’s Club – tissues, paper towels, cleansing wipes, adult briefs, incontinence pads, protein shakes, food, etc. Search for “lending programs” in your area that allow you to borrow durable medical equipment for free – bath chairs, wheelchairs, canes, etc. Finding clever ways to save money, avoiding common scams, and asking for financial support and advice from family members, financial planners, or even social workers can go a long way to reducing the caregiver financial burden that you’re feeling.